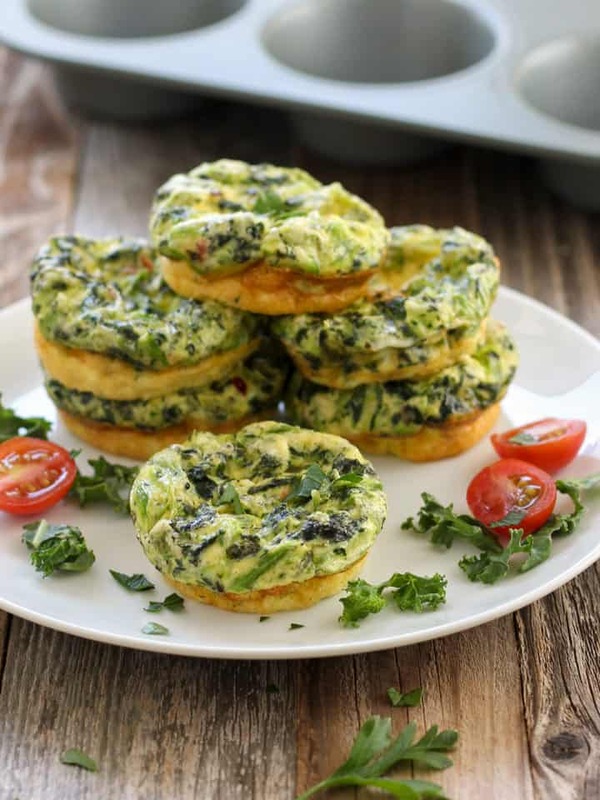 Toaster Oven Egg Muffins are an easy breakfast that takes less than 30 minutes to make. Served warm or cold they’re perfect for brunch and lunch too! Have you seen these little egg muffins before? 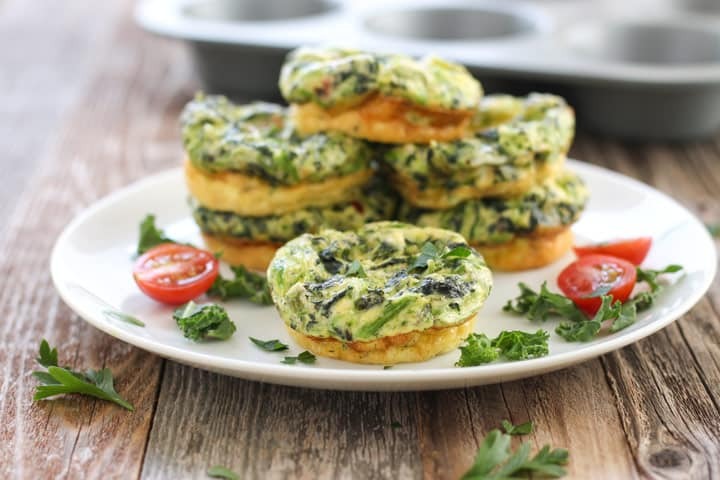 Sometimes they’re called muffin-tin frittatas or mini quiche muffins. 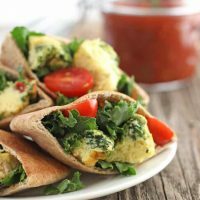 They’re small bites of flavorful baked egg and a great way to add veggies, protein, and flavor to your breakfast routine. The only trick to making this simple toaster oven recipe is that you MUST grease the muffin tin. A lot. You can use a cooking oil spray (the one with flour works great), melted butter or oil. Starting with a nonstick muffin tin, like the one in this popular Chicago Metallic Toaster Oven Pan Set (affiliate link) is helpful too. The pan is approx. 11.5 L x 7.75 W x 1.5 D.
Because of the extended handles, you’ll want to measure your toaster oven to make sure it will fit before purchasing. The handles on that pan can make it too big for some smaller toaster ovens, like our little Oster. 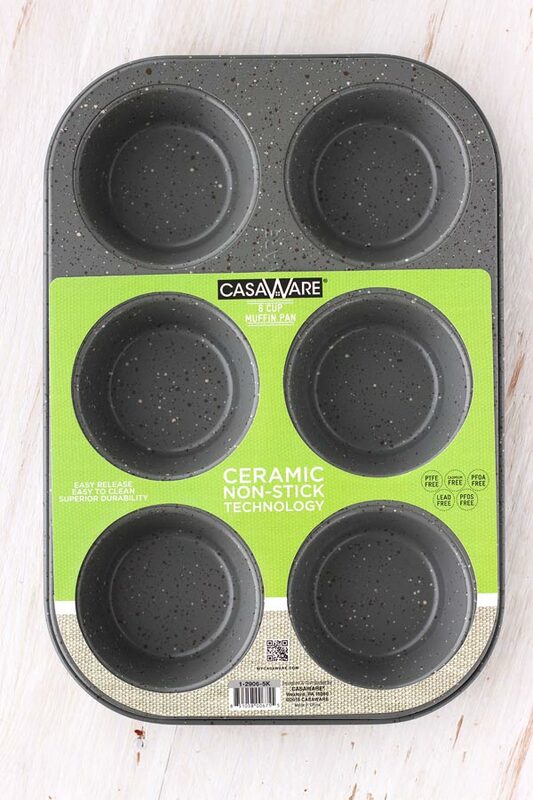 For that toaster oven, we’ve been using this muffin pan from CasaWare (affiliate link). It measures approx. 10.5 x 7.125 x 1-inch. Like with these Baked Egg Tostadas this recipe is ideal for using up leftovers. Roasted vegetables that have been finely chopped are a particularly good addition. Spicy Jalapeño Roasted Cauliflower, Brussels Sprouts or sweet Spaghetti Squash will taste fantastic. Do you prefer more egg whites than yolks? Substitute two egg whites for one of the whole eggs. And while chopped frozen kale and a flavored feta is our favorite combo, you might prefer something totally different. Once baked and cooled, you can store your muffins in the fridge for up to 4 days. They’re yummy warm from the toaster oven or cold from the fridge. 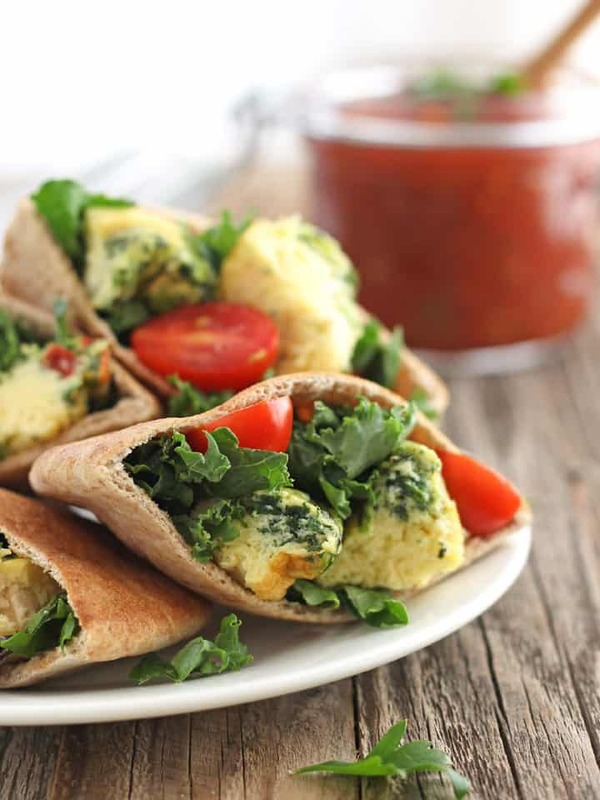 Our favorite way to enjoy them is in a whole wheat pita with salsa, crisp greens and juicy grape tomatoes. An easy toaster oven breakfast that take less than 30 minutes to make. Delicious served warm or cold! 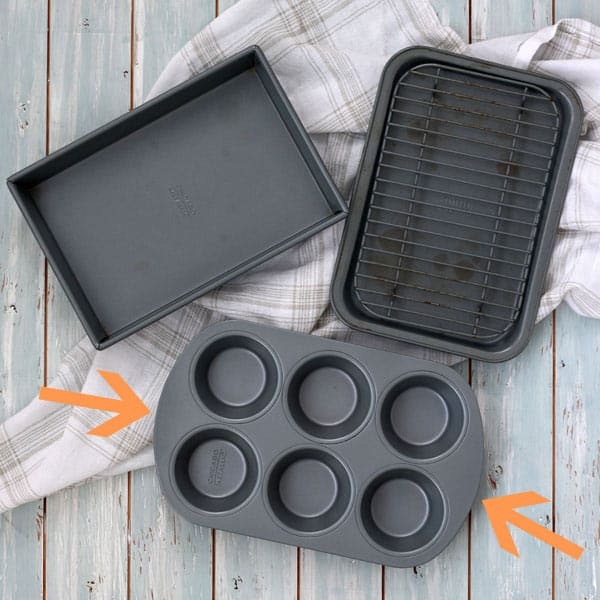 Adjust your toaster oven's cooking rack to the middle position and preheat to 350 F. Grease a 6-cup muffin tin very well. In a medium bowl whisk together the eggs and milk until well combined. Whisk in the feta cheese, kale, salt and pepper. Spoon mixture into the prepared muffin pan filling each cup about halfway. Bake for 20 minutes, turning the pan halfway through cooking, until the eggs have puffed and the edges are golden brown. Remove pan from the toaster oven, don’t worry when the eggs immediately start deflating. Run a small offset spatula or knife around the edges of each muffin and transfer to a plate for serving. Enjoy egg muffins warm or cold. Using a flavored cheese add lots of seasonings to your egg muffins, try substituting shredded pepper jack cheese for a spicy kick. To keep these muffins vegetarian look for cheese that is animal rennet-free and made with vegetable/synthetic enzymes. Refrigerate leftovers in a sealed container for up to 4 days. 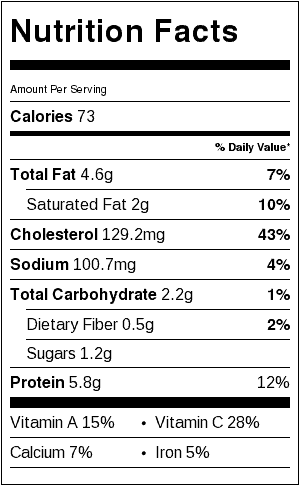 Nutritional information is an estimate for 1 of 6 egg muffins. We’ve frozen them many times without a problem you just want to make sure the egg muffins have cooled completely before storing. If it’s just for a few days we usually store them in a single layer in a covered glass container (like Pyrex). If you’re planning to keep them frozen longer wrapping them in plastic wrap first will help to avoid freezer burn/lots of ice crystals. I would love to hear your favorite flavors to mix together, you always use the most interesting spices Adina!